At these exhibitions English Club TV Group will present its new products such as the first IP television art channel, Classical Harmony, and 4K content. As usual, our primary focus is on the pioneer educational TV channels English Club TV and English Club TV HD. ‘This season will be innovative and full of surprises for our viewers. Based on the current surveys of our viewers, we’ve updated our content portfolio with the brand new series of programmes for businessmen; ‘The Language of Business’, and created the special programme for all sport lovers that help to learn the basic sport vocabulary; ‘Keep Fit’. At our viewers’ request, we’ve also started broadcasting many of the world’s best movies. The Great Gatsby, The Aviator, The Shawshank Redemption, The Pianist… All these movies our viewers will have the chance to watch with subtitles in English on English Club TV and English Club TV HD. Thanks to innovations from our methodological team, all viewers can also watch the Movie Club programme before the movie to learn confusing words and word combinations. I should warn parents all over the globe though, as of October you won’t be able to unglue your children from a TV set. Your children will be able to watch many of the world’s best cartoons (Ice Age 1-3, Shrek, Rio, King Fu Panda, Madagascar 3 etc.) on English Club TV and English Club TV HD.’ – says Andrew Semchenko. English Club TV Group invites all friends and partners to visit its hospitable booth A16 at BCWW and arrange meetings at MipCom with Andrew Semchenko and Luisa Brendel. The English Club TV Group is a group of production, education and distribution companies that operates worldwide in the field of English language teaching under the brands of ENGLISH CLUB TV and ECTV. The English Club TV channel covers European, Asian and Africa continents. English Club TV HD is the high definition simulcast of the English Club TV channel. 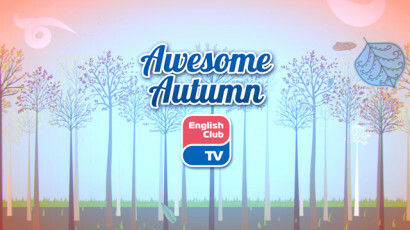 English Club TV HD was launched in November 2012. The web site (www.english-club.tv) is a web service for fans of the English language and fans of English Club TV channels worldwide that provides its on-line service of the English language learning in 74 countries worldwide.